Recently, I was volunteering at an after school program at a local middle school. The students were watching a movie and one of the characters made a comment about HIV. I overheard one of the student’s say, “What is HIV?” I was surprised. I thought to myself, “In this day and age, when so many individuals are affected by HIV, how could this student not know about it?” I decided to pause the movie and have a discussion with the class about HIV. According to the organization “Amplify Your Voice,” today’s young people are the first generation who have never known a world without HIV and AIDS, which is why I was so surprised when the student expressed that he didn’t know about HIV. 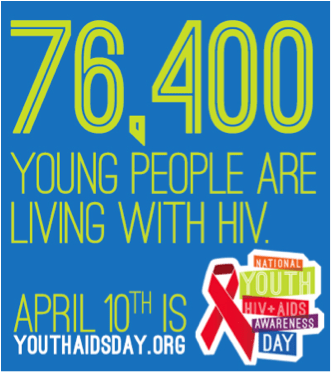 In the United States, one in four new HIV infections are among youth ages 13 to 24. And, take a look at this statistic…. Educating our youth is important. What can we do to educate youth about HIV in our own communities? Let’s educate, educate, educate. The only way to protect our future is educate our present the only way to also stop stigma and hate is educate our present if we don’t what will happen to our future ? Do we really want to risk not having one?